Baltimore vocalist, Jill Weinknecht-Wardell, has 16 years of performance experience spanning Jazz and Classical Concert Literature (including Opera and Oratorio), Musical Theater and Pop. She has been heard in Concert, Jazz, and Opera venues up and down the eastern seaboard and in the mid-west. She is much sought after for weddings and corporate special events for her flexibility and proficiency across musical genres and for her soulful interpretive approach to singing. Jill has performed major operatic roles both in Washington and in New York, including Gilda in Verdi's Rigoletto. She has also been heard in Carmen, Don Giovanni and Sweeney Todd. Her wildly varied musical influences include Eva Cassidy, Rosemary Clooney, Maria Callas, Renata Tebaldi, Susan Tedeschi, Joni Mitchell, and Nina Simone. She has studied classical voice extensively with NYC and Washington tenor, Don Wiggins and jazz with DC jazz legend, Ronnie Wells. Jill earned a B.A. in Interdisciplinary Studies combining Music Performance and Anthropology culminating in a lecture recital entitled "The Primacy of Opera in Italian Culture." She is currently pursuing a master’s degree in Applied Healing Arts, integrating her work as a musician through a debut CD and through her work as a professional life and creativity coach. 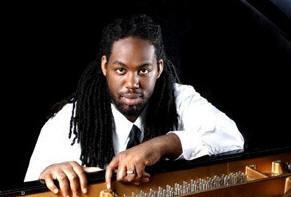 Joel Holmes attended the acclaimed Peabody Conservatory of Music at John Hopkins University. He gained popularity with his fellow students playing impressive performances at various festivals and venues. Joel has studied with Bobby McFerrin, Roy Hargrove, Gary Thomas, and a host of other respected musicians. He has also taught music and theory at the Rock Junior Academy, the Baltimore School for the Arts and has over 15 private students. A recent Bachelor of Arts graduate from the Peabody Conservatory in Jazz Performance, Joel’s accolades include a gold medal in the Act-so Competition of the NAACP, a silver medal in the Local and National Levels, an honorable mention in the John Lennon Songwriting Competition, a finalist in the 5th annual Independent Music Awards, a recipient of the Maryland State Arts Council Grant, and an honorable mention in the Vh1 song of the year awards. Now at 25, Joel composes his own style of music blending an array of traditional and contemporary jazz, gospel, R&B, soul, hip-hop, neo soul, funk, classical and pop. His states, “My music is a direct expression of musical influences, spiritual freedom and personal interpretation.” In addition, he plays a repertoire of over three hundred well-known tunes He has opened for The Temptations, The Manhattans, Tonex, Regina Bell and Phil Perry. Joel has had the honor of performing at The Kennedy Center, Meyerhoff Symphony Hall, The Litchfield,Hartford and Columbia jazz festivals, as well as the Morgan State University’s tribute to Baltimore Legends. The group is currently getting radio airplay at Mosaic Online, a popular online jazz radio station, 88.9, Morgan State University jazz station. Because of his increasing popularity, Joel Holmes is touring extensively throughout the East Coast. In September 2005, he performed in Taiwan and Singapore. Joel Holmes was a Finalist in the 5th Annual Independent Music Awards in the Song Category under Jazz Originals. You can find it listed in the “Musician’s Atlas 2006 Magazine.” Joel Holmes has also been selected to receive a Maryland State Arts Council Individual Artist Award!His Album has also received a nice review in the Baltimore Jazz Alliance Newsletter. Hello, my name is DaNica and it's pronounced DA NEE KA. I'm a singer with a soulful voice and true passion for music! I've been singing since I very young and winning every school competition I ever entered. Along with outside contests as well, m y first big successful win was at the world famous "APOLLO THEATER" in NY at the age of 14. Afterwards, along with opening up some doors in the music industry, I flew to California where I worked with BIG SYD and HOLLY to record my first CD Demo. Then the shows started coming in! I've sang all over the states from Wash DC for the president of Serra Leone at a special event to raise funds for their country to performing benefits for my hometown Mayor and company. I sang our National Anthem for the Philadelphia 76ers and was invited to come back and sing in their club. I won the very first "Lancaster Idol" along with coming back each year as their special Guest singer. This opened more doors for me, and I was asked to sing at the "World Cafe' in Philly! They asked me to return two weeks later as their featured singer. I was also a featured singer on a website called "hitquarters.com"
Later that same year I entered the largest online singing contest ever thru totalopstar.com and after flying to California to compete, I won the contest. It was a recording contract and prizes worth over $150.000.00. Since then, I've moved on to sing and record with some top folks in Long Island, New York and book quite a bit of shows with several wedding bands throughout MD, Philly and NY. My recent accomplishment has been the opportunity to be hand selected by David Foster to compete in a contest he was holding throughout the US. David Foster asked me to sing in Madison Square Garden’s for the evening with Rubin Studdard. Peter Cetera, Michael Johns and many others. I won that competition and was asked by David Foster to join them in Vancouver Canada for the final David Foster and Friends tour. All I can say is WOW! We had a blast, and what an amazing chance to sing with the best! I'm currently working with Santana Entertainment, and I’m fulfilling my passion everytime I have the opportunity to perform!